Admission of Medical MBBS, BDS programs in China for 2019 is opening ! You are Here: Home > Admission of Medical and Engineering courses for 2019 session is opening! Admission of Medical and Engineering courses for 2019 session is opening! Admission of English medium Medical MBBS, Dental BDS programs and Engineering courses for 2019 session is opening!!! Degrees conferred by China Universities, Colleges and Institutes are recognized worldwide! And China has established educational cooperation and exchange relations with nearly 200 countries and regions, Tuition fees and living cost are affordable compared with American universities and European colleges. Scholarship is available for international undergraduates, postgraduates and PhD candidates studying in China universities and colleges. The degrees cover Bachelor/ Undergraduate Degree, Master/ Postgraduate/ PG Degree, Doctoral/ PhD Degree and non-degree (like Chinese Language course). Medical programs taught in English cover Medicine MBBS (Bachelor of Medicine and Bachelor of Surgery), dental BDS (Bachelor of Dentistry Surgery), Stomatology, Oral Medicine, Pharmacy and Nursing, MDS (Master of Dental Surgery) or Master of Clinical Dentistry, Master of General Surgery (MS), Medical Technology, Preventive Medicine, Traditional Chinese Medicine (TCM) and so on. English medium Engineering courses cover Civil Engineering, Architecture, Computer Science and Technology, Software Engineering, Mechanical Engineering, Electrical Engineering and Automation, Communication Engineering, Materials Science and Engineering and so on. China’s medical education ranks 4th worldwide and China is a largest producer of engineering graduates in the world. 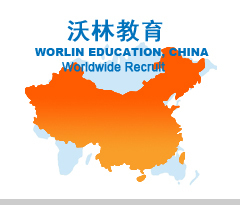 Don’t hesitate to join us and apply a Medical program or Engineering course in China now!